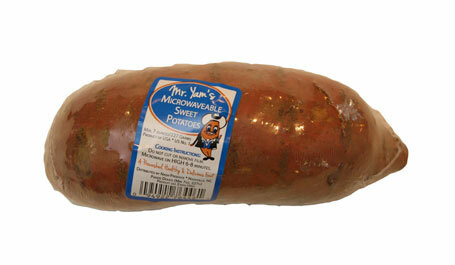 Mr. Yam Individual Microwave Sweet Potatoes are an easy way to enjoy the oven-baked sweet potato taste. They are quick and easy to prepare by microwaving just 6-8 minutes. 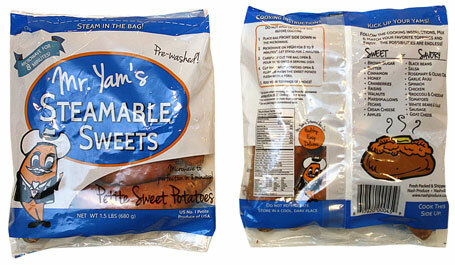 With Mr. Yam Microwave Sweets, there is no preparation or cleanup involved. All potatoes are pre-washed. Private label available upon request. DO NOT pierce the plastic wrap. Microwave on high for 6-8 minutes then let stand for 1-2 minutes. Carefully remove from the microwave, slice down the middle, remove the plastic wrap and serve immediately. Stuff with your favorite toppings to eat as a simple side or a loaded potato meal! Check out our “Recipes” section for inspiration and ideas.